Made from attractive plastic that both keep costs low and is safer around small children, This Christmas bauble can be personalised with your custom message and makes a fantastic, thoughtful low cost christmas gift. Quality yellow, white and red glass bauble with Santa decorating a Christmas tree. 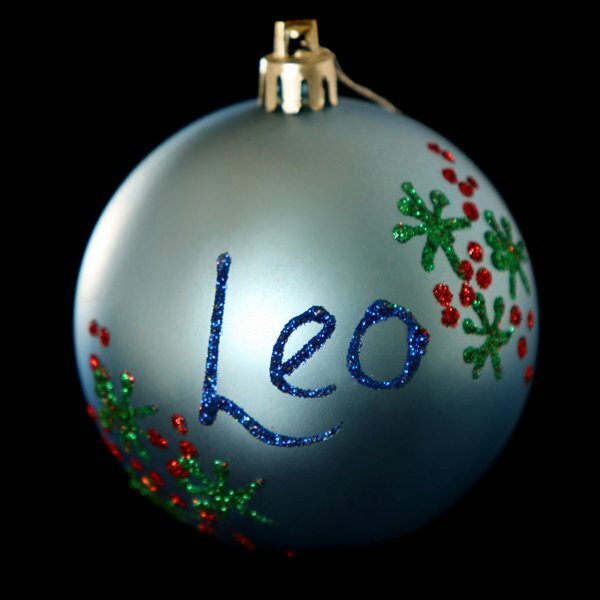 Personalise the back of the bauble with glitter text for the perfect Christmas gift. White Glass Christmas bauble featuring Snowman and teddy bear. Personalise with glitter calligraphy.